The latest news in Days Gone-related merchandise is not exactly typical. Instead of just a set of cool t-shirts or figurines, the Diesel x Days Gone capsule collection offers costumers a chance to dress the part they’ll play in the game. Diesel’s collection of Days Gone-inspired merchandise features biker clothing, such as vests, caps, as well as long and short sleeved shirts. When the collection goes live, it’ll be available for a limited time only, so those interested may want to act fast. For a better look at the collection itself, check out the PlayStation page on Diesel’s official website. For now, details about the capsule collection’s pricing and a potential release date are unknown. Hopefully, more information will surface once Days Gone itself hits store shelves. After a long development cycle and two delays, Days Gone’s launch is nearly upon us. It will have a lot to show for it, too. With a 67GB file size, Days Gone is one of the largest PlayStation 4 exclusives to date. Interestingly, this number doesn’t even take the game’s day one patch into consideration. The title’s incredible demand for hard drive space may be attributed to the amount of enemies that will appear on screen at once. The size of the game-world likely factors in, as well. Since Bend Studio intends to release post-launch DLC, expect Days Gone to eventually become even more gargantuan over time. 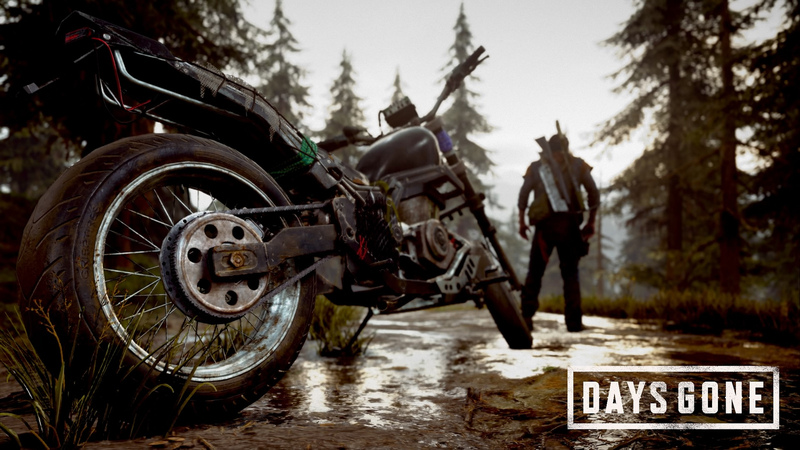 Days Gone will come to the PlayStation 4 soon on April 26th.